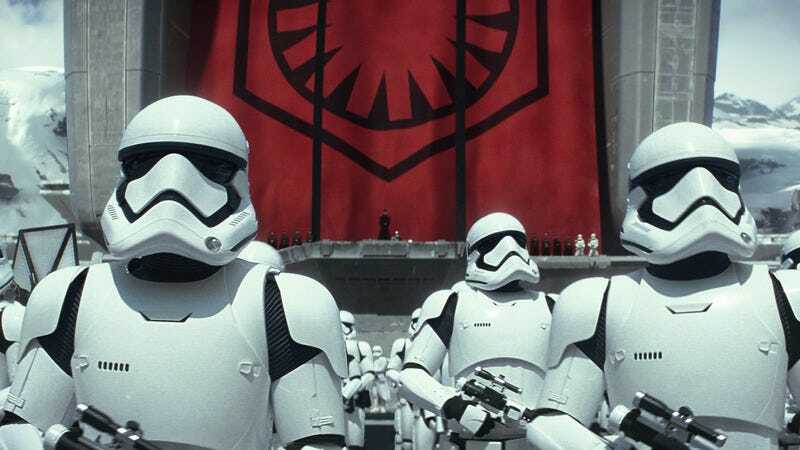 Stormtroopers are among Star Wars’s most iconic images, and while the recognizable white armors worn by Stormtroopers and Clone Troopers throughout the franchise have remained pretty consistent, the helmets vary from film to film. HalloweenCostumes.com uses a series of infographics to show the evolution of the Stormtrooper design through the years (using the films’ chronology, of course), beginning with the first Clone Trooper helmet, seen in Clone Wars, followed by the Phase 2 Clone Trooper helmets seen in the prequels and the more detailed helmet designs of the Imperial Stormtroopers seen in the original trilogy. The infographic also looks at the sleek helmets worn by Stormtroopers of The First Order, who will make their appearance in Star Wars: The Force Awakens. Part of the infographic breaks down the different trooper blasters used during the Clone Wars, The Imperial Regime and Galactic Civil War, and The First Order. So if you’re doing Stormtrooper cosplay at Comic-Con this year, don’t make yourself look like a total idiot with an anachronistic blaster/helmet combination.